“PAY IT FORWARD” Save $100 a month on Reiki Master Certification tuition by paying forward your savings to a charity, a personal gift or through acts of service for others. 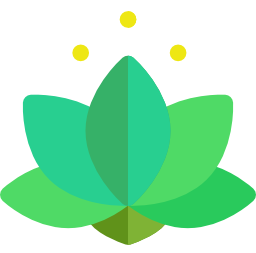 I recently completed Level 2 in my Healing Touch training. Healing Touch is the ONLY nationally certified energy healing modality. It is taught in 30 countries, used in numerous hospitals and has the most substantial body of research supporting it. HT can be used for: Stress and Anxiety Reduction; Pain Relief; Immune System Support; Balance with emotional issues; Fun & Relaxation! To celebrate this wonderful new work, sessions will be offered at a discount of $40 for 1 hour. Appointment required. from 6 – 7:00 p.m.
Are you new to Reiki? Do you have questions about how Reiki works and what a session is like? Do you wonder what’s involved in the certification process? Bring your questions and get them all answered at this open house with Reiki Master Teacher Joanna Scaparotti. This open house is free and open to all curious! Ease your way back into the work week with great company and relaxation. Come share Reiki together after dinner. Reiki Practitioners of all levels are welcome to this healing circle & Reiki share. $10 or $5.00 with a food bank donation. Are you looking for new ways to increase your sense of well-being and experience of abundance? Would you like to understand more about the subtle energies from other people and the environment that affect you and learn how to manage it better? Learning Reiki is for you! This class will meet on Sunday evenings from 5-6:30 p.m. on September 14, 21, Oct 5, 12, 19 with a Reiki Clinic on Tuesday October 21 from 6:30-8:30 p.m. Tuition: $175 or pay ahead with Paypal for $150. Can’t make this class session? The next Reiki 1 class will begin Tuesday evening, October 7th at 6:30 p.m.
from 6:30 – 8:30 p.m.
Are you feeling called to deepen your Reiki practice this fall? Reiki 2 builds upon Reiki 1 and includes three Reiki symbols and energy archetypes for physical, emotional and spiritual healing. It can also be used for breaking addictions, changing habits, and healing stuckness from the past experiences. You will also learn how to give Reiki over a distance and use Reiki to make changes in your own life. This program also cover deepening your Reiki intuition, increasing the energy flow in your body, additional meditation techniques and how to give a full Reiki session to someone else. Legal and ethical responsibilities of practicing Reiki in MA are also included . Class will meet Sunday evenings from 6:30-8:00 p.m. on September 14, 21, 28, October 5, 12, 26 and Tuesday evening Reiki Clinics from 6:30-8:30 p.m. on September 16 and October 21. Tuition for this class is same as Reiki 1 ($175 via check at the first class or pay ahead with Paypal for $150). and students are asked to find a way to invest the $100 savings on tuition by “paying it forward” to someone else in some way or through an act of service. Are you feeling called to become a Reiki Master practitioner? Joanna offers a comprehensive Reiki Master Practitioner training program for people called to become a Reiki Master and making Reiki a part of their lifestyle (and possibly career, too). Reiki Master training requires commitment, discipline and a willingness to grow personally, professionally and spiritually. Joanna offers a year long apprenticeship that starts in January each year, but she also occasionally offers a 5-6 month intensive program for those students who are interested in diving into the program and completing it quickly. Save $100 a month on Reiki Master Tuition by paying forward your savings to a charity, a personal gift or through acts of service for others. by appointment at 7:00 p.m. or 7:45 p.m. Enjoy a relaxing Reiki session at a great price in our group Reiki clinic setting. Our Reiki clinic is staffed by The Healing Center’s Reiki Master Practitioners; as well as select Reiki students-in-training, who work together as a team to maximize the healing you receive during your half hour session. In our serene studio space, your pain, stress and tension will be eased, making way for relief, relaxation and peacefulness. We want you to leave feeling rejuvenated in mind, body and spirit. Please reserve your space early, as spots are limited and will fill up quickly. A Reiki Clinic session is $20 for 30 minutes, and you may pay with cash or check made out to The Healing Center at the time of the clinic.